Hisense washers have digital displays to show information. 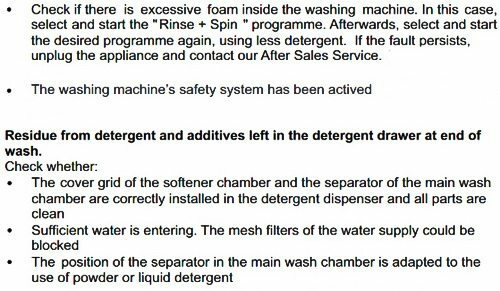 Not only do the digital displays show wash time and mode, but also error codes that may take place if the washer encounters a fault or problem. When an error code shows on the screen, how do you know what the code identifies? 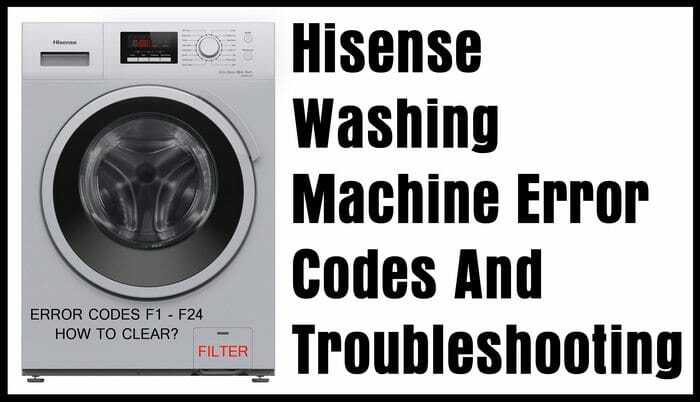 Here you will find a full list of all Hisense washing machine error codes and some troubleshooting methods. If you do not find the error or fault code your Hisense washer is displaying, let us know the model number of your washer and the error code it shows. Leave your question below and we will assist you in repairing and or clearing the error code from your Hisense Washing Machine. Below are error codes that occur with Hisense washers. 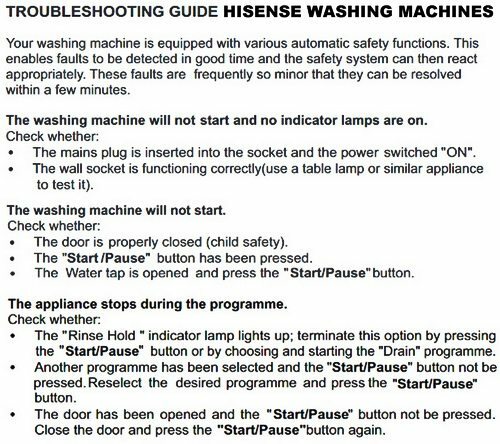 If you need a Hisense washing machine Owners or Service Manual, please check here to see a PDF file… HWFE7510 Manual, and the HWFR6510 Manual. NOTE: For models with a remaining time that displays, a failure code between F01 to F07 and F13 or UNB appears on the display. Need help? Please leave your model number and error code below and we will answer back to assist you in clearing any error codes you may get. I bought 8Kg Hisense WTC T 802 washing machine. Water keeps on draining from the outlet hose. what do I do? I switched on my HiSense washing machine, chose silent mode and 12 hours have passed and it is still running. What should i do? Hi. Washing machine won’t turn on. Display flashes up for a second, when on button pressed, and then disappears. No error codes. Have tried unplugging overnight. Any advice gratefully received! Evening. Hisense 9kg washing machine WAFN9012. 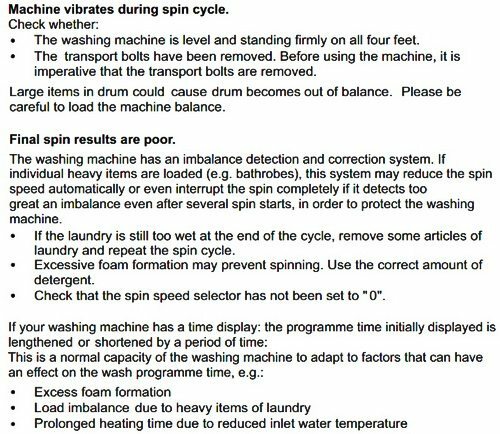 No error codes but washing soaking after cycle and detergent placed in drum not dispersing. Any ideas please? We have exactly same issue and its a brand new machine. I think I will ask for a refund and go for a different make, with fewer electronic s. Did you fix yours? I just bought a hisense WTCT802 top loader. It keeps draining water as the water goes in. No error code is displayed. Please help. I bought Hisense Washing Machine XQB60-C3006/XQB60-H3568 model 6KGS from China Foshan. I just used it once and now for the second time it just displays E5. How can i fix this as far as i am outside China mainland? I have a Hisense WTS802 washing mashine. When you switch on, the control panel on top display the time cycle and the light is on at Wash, Spin and Rinse, but the control panel froze with this display. There is no lights flashing, I pressed all the buttons but no reaction not even when you switch it of by the power supply and switch on again.Any idea what the problem might be? If it is the child lock, I have pressed the button for 4 seconds with no result. Hisense 8kg Washing Machine WTCT802 keeps displaying E4 every time i try to use it. E4 means that your machine takes too long to fill. Check the inlet hose, also check whether the tap is open and that the water pressure is not too low. My Hisense Washing Machine Model Number HWFR9012V displays F22 error code. Can you please explain what that is? I have the exact same HWFR9012V model and the same F22 error code. Did you manage to fix it in the end? I’ve read it’s a “door lock failure”, however, mine door does seem locked when I pull it and I have read that others have replaced the lock, but error persisted. I would be very grateful for your reply advising whether you were able to fix it and if so, how? I have a Hisense washing machine model and it’s displaying the HFWE7510 and it’s displaying the error code f6 can you please help? 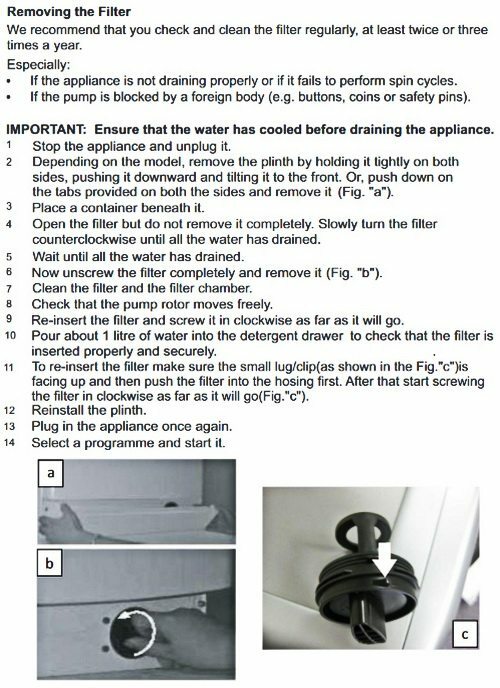 Previous post: LG Top Load Washer Error Code E6 – How To Fix?